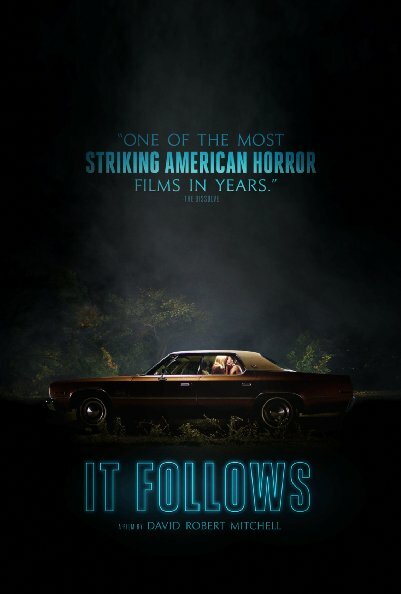 It Follows stars Maika Monroe, Keir Gilchrist, Daniel Zovatto, Jake Weary, Olivia Luccardi & Lili Sepe whilDavid Robert Mitchell directs. For 19-year-old Jay, the fall should be about school, boys, and weekends at the lake. Yet, after a seemingly innocent sexual encounter, she suddenly finds herself plagued by nightmarish visions; she can’t shake the sensation that someone, or something, is following her. As the threat closes in, Jay and her friends must somehow escape the horrors that are only a few steps behind.